Mack Trucks is reigniting interest in Dimethyl Ether, or DME, a clean-burning alternative to diesel, with a new field test to be conducted in partnership with Oberon Fuels and New York City’s sanitation department. The test, using a Class 8 Mack Pinnacle tractor with a 13-liter engine, began this week and is scheduled to run for several weeks of evaluation, with results to be published by mid-year. It is the first commercial test of a DME-powered Mack. 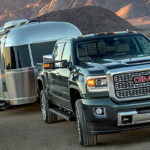 The truck maker, along with its parent company Volvo Trucks, voiced interest in the fuel several years ago, but low diesel prices dampened enthusiasm for alternative fuels and both companies canceled their planned DME engine projects in late 2014. But with growing political and social pressure for cleaner vehicle emissions, alternative fuels are catching on again. “We believe DME shows great promise,” said Dennis Slagle, president of Mack Trucks. DME is a liquid fuel that doesn’t require refrigeration or high-pressure compression. It can be produced from a number of feedstocks including natural gas, coal and renewable sources such as paper, wood, agricultural and animal waste; biofuel crops such as soybeans, sugarcane and corn; and even from municipal waste – an attractive idea for the New York sanitation department. It can be used in diesel or gasoline engines, and can also be blended with liquefied petroleum gas, or LPG, for use in diesel engines as a DME-LPG blend. The fuel is easy to handle and can be a very low carbon fuel when produced from bio-based sources, said Bill Van Amburg, senior vice president and head of truck programs at CalStart, the Pasadena-based clean transportations technologies coalition. A second benefit, he said, is that truck engines running on DME can potentially be less expensive than conventional diesel engines because their emissions treatment systems would not be as complex. Volvo has continued DME testing projects with its customer-owned trucks and has called the fuel a potential game-changer. The fuel is approved for use nationally and meets California’s tough low-carbon fuels standards. DME also recently became eligible for clean fuel tax credits in the state of Washington. Ford Motor Co. and the German government launched a three-year, 3.5-million Euro project in late 2015 to develop and test a DME-fueled passenger car, with San Diego, Calif.- based Oberon Fuels providing the fuel. Companies interested in DME understand that the present low prices of gasoline and diesel fuel won’t last – that fuel prices are volatile – and are looking for a replacement with a predictable price that will allow long-range cost planning, Rebecca Boudreaux, Oberon’s president, told Trucks.com in an interview last year. Mack’s new test with New York’s sanitation department will examine if DME fuel costs in real world operating conditions can match diesel fuel costs, said Roy Horton, product strategy director at Mack Trucks. The fuel “has potential to be a long-term option for us, and this initial test is an important first step in the evaluation process,” said Rocco DiRico, the sanitation department’s deputy commissioner. The department operates more than 7,000 trucks and is one of Mack’s largest customers. The federal Energy Department has tested DME and found that it can reduce greenhouse gas emissions by 70 percent or more. New York City has set dual goals of reducing greenhouse gases by 80 percent by 2050 (from 2005 levels) and of recycling municipal waste so that by 2030 none is sent to landfills. Oberon’s production system would permit it to establish on-site DME refineries at landfills, producing the fuel from the waste that otherwise would be deposited in the sites.